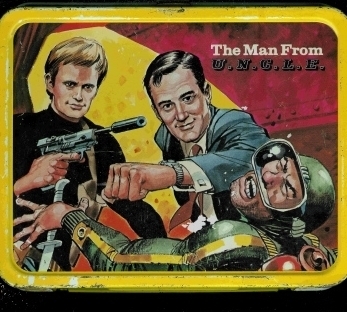 Man From UNCLE Vintage 1966 Lunch Box. . Wallpaper and background images in the Lunch Boxes club tagged: man from uncle lunch box man from uncle vintage lunch box 60s lunch boxes lunch box lunchboxes. This Lunch Boxes photo might contain anime, comic book, manga, and cartoon.